Ending up in a truck accident can be a life-changing event. The sheer size and weight of a commercial truck can easily cause extensive damage and injuries, some of which may affect you for life. When you’ve suffered from someone else’s negligence, Washington law allows you to seek compensation through a personal injury claim. While you can legally fight your own case, you’ll have a much better chance with an experienced truck accident attorney on your side. At Colburn Law, we understand the complexities of working with commercial truck cases and we want to help you. 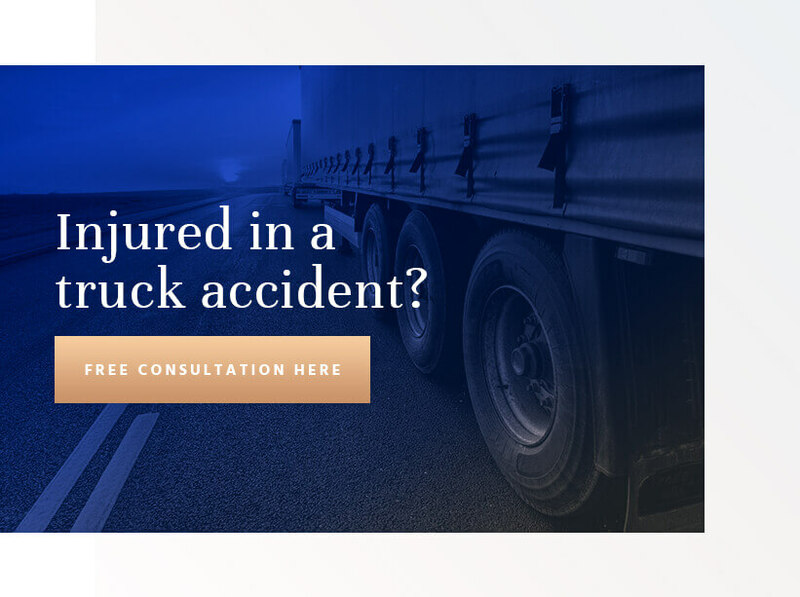 With experience and compassion, you can trust our attorneys to support you through your Redmond truck accident case. Driver error. Many accidents are simply the result of driver error. Improper maintenance, dangerous driving habits, and distraction are often some of the biggest, along with driving while drowsy and being inattentive to the road. What’s unfortunate is that these accidents are avoidable. Ignoring federal laws. Trucking companies are subject to many regulations from the Federal Motor Carrier Safety Administration. When companies don’t follow these regulations – such as limiting the number of consecutive hours truckers can work – it increases the risk of accidents. Trucking company negligence. Some trucking companies may encourage unsafe driver practices by setting strict delivery deadlines and not regulating how much time their truck drivers spend behind the wheel. An error in the hiring, training, or maintenance processes can also lead to unsafe drivers and equipment failures while on the road. Equipment failure. If essential equipment fails, it can easily lead to an accident. In some cases, equipment failure is the result of improper company or driver maintenance on the truck, while in others it can be due to a defective part from the manufacturer. Improper loading practices. Commercial trucks already have a high center of gravity, which can shift and lead to accidents. If a loading crew does not follow safe procedures when putting cargo into a truck, it may become loose and shift the balance of the truck while driving, leading to rollover accidents. These cases are just some examples of how negligent behavior can lead to a trucking accident. While a thorough investigation is often necessary to properly determine the cause, it can be essential in determining the negligent party in your case. A skilled attorney will have the resources available to help you conduct the necessary investigation for your case. The immediate aftermath of a Redmond truck accident can be an emotionally stressful time. Aside from the shock of the incident, you’ll also likely be dealing with your injuries and wondering how you’ll handle the resulting medical bills. This stress can increase if the trucking company’s insurance company contacts you to discuss a settlement. Thankfully, you don’t have to go through it alone. At Colburn Law, our attorneys know what it’s like to be in your position – that’s why we work hard to help you with every aspect of your case. From the initial consultation to settlement negotiations and even in the courtroom when necessary, we’re here for you when you need it most. Commercial truck accidents can be complex legal matters. With the experience of a Colburn Law attorney on your side, you’re in good hands. Contact us to schedule a consultation for your case and see how we can help you receive your rightful compensation – so that you can focus on recovery.